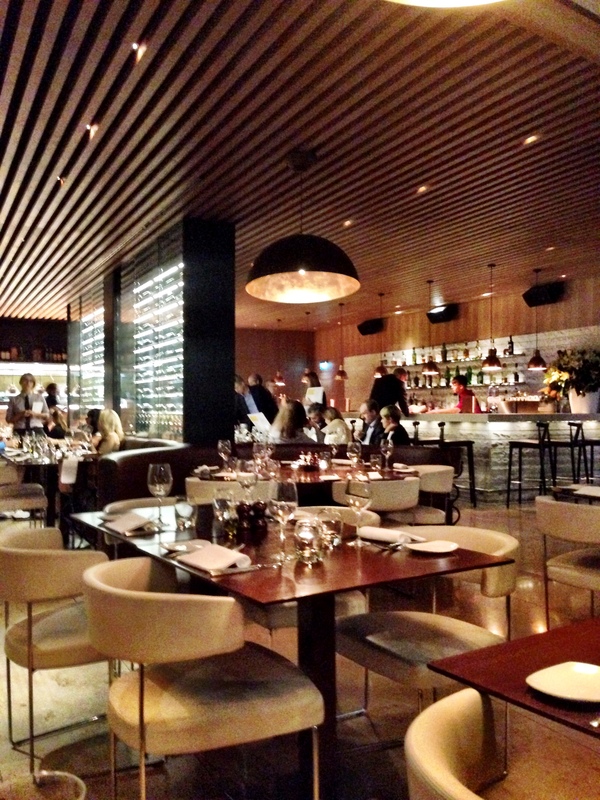 Cucina Asellina is a modern Italian restaurant located in the five-star luxury Me Hotel on Aldwych. The décor is stylish with a contemporary feel, and as you first enter the restaurant you are greeted with a slinky looking bar. The cocktails were good and we could have happily drunk our way through a few of the tempting listings on the bar menu. The dining area itself is spaciously laid out and the perfectly pitched lighting serves the restaurant well, setting the tone for a sophisticated night out. Cucina Asellina is a stylish operation and is also well located for all of the theatre attractions of the West End. 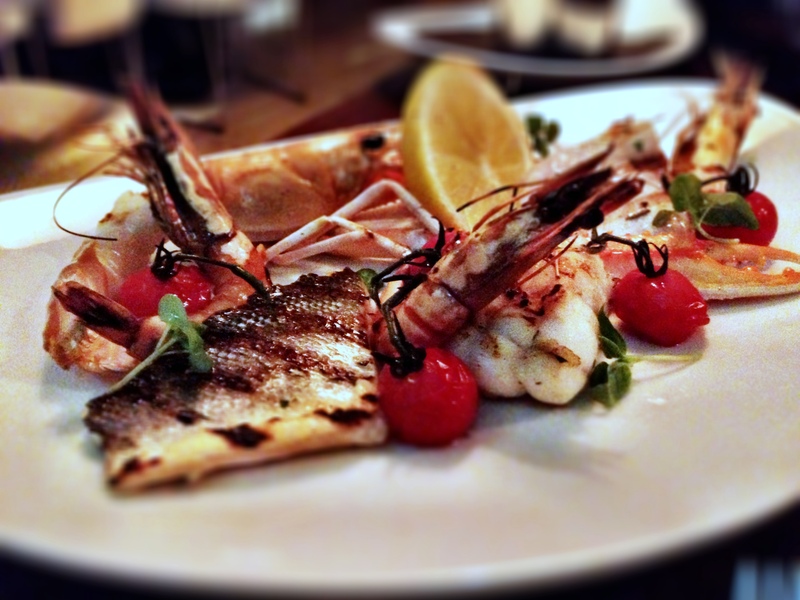 As standard with most Italian restaurants, Cucina Asellina offers a variety of antipastas, pastas, pizzas and secondis. The menu makes for an attractive read and could easily tempt the diner into over ordering. And over order we did. An antipasta dish of frittura mista with calamari, whitebait and prawns (£12.50) – a personal favourite – was really tasty and came with a moreish and very crunchy batter. A courgette flower with mozzarella and anchovies (£6.75) was also appetising with its melted gooey filling, although the courgette itself was a little undercooked. Seared swordfish with shaved fennel, olive, Sicilian citrus and orange dressing (£11) was wonderful with the fresh fish pairing well alongside the citrus elements that provided a balanced and contrasting acidity. 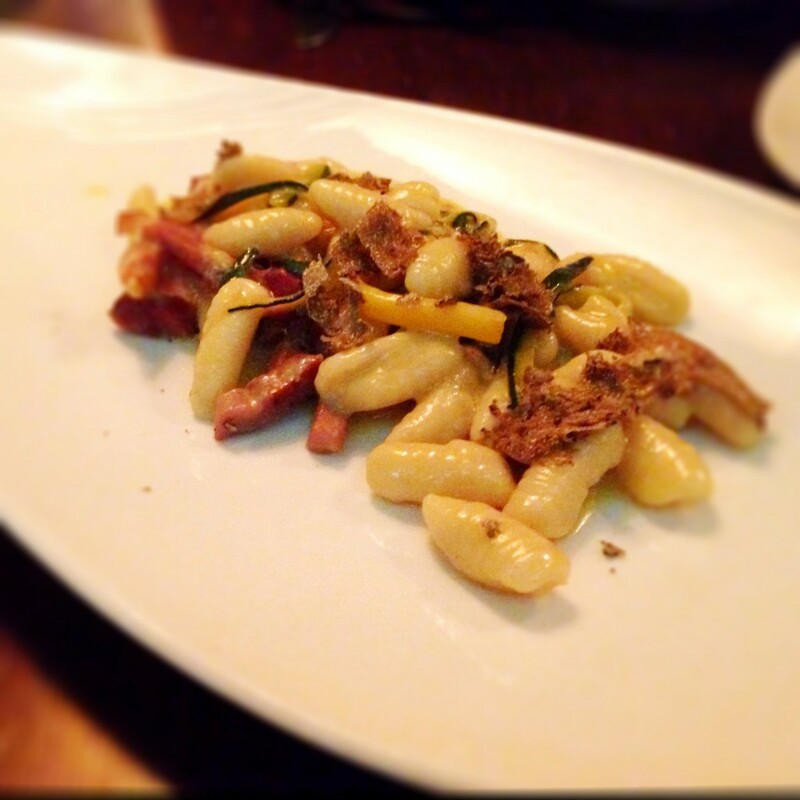 To pastas, and a semolina gnocchi with speck, courgettes and summer black truffle (£8.50) was delicious with the speck adding a wonderful depth of flavour to the dish. The courgettes had been finely chopped with a slightly crunchy bite to them, and the truffle added earthiness and warmth to the dish. 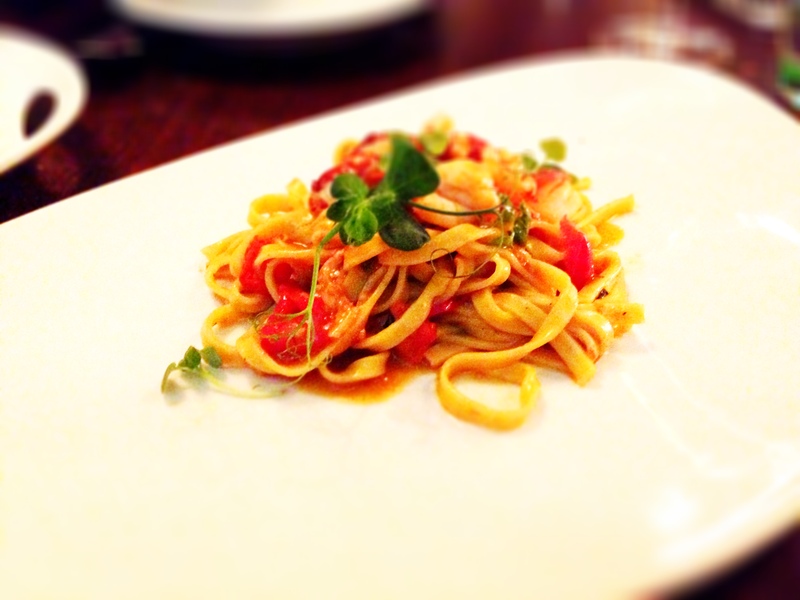 A pasta dish of herb fettuccine with lobster, cherry tomatoes, basil and Martini Bianco (£17 starter) was also very tasty. The homemade pasta was cooked al dente, although it was hard to detect its herb flavour. The lobster was moist and juicy, and the use of Martini Bianco served the lobster well. Mains were wonderful in their simplicity with the langoustine, monkfish, swordfish, prawns and sea bass in a mixed grilled fish (£25) being nicely cooked and seasoned. Beef fillet “tagliata” (£19) was tender and rich with flavour and came with braised radicchio, pinenuts and balsamic vinegar. It was a good combination although the radicchio was a little burnt. Desserts were fabulous with a pina colada torta (£7) consisting of a light and airy pina colada flavoured mousse perched on a crunchy base, and accompanied with some beautifully caramelised pineapple and coconut sorbetto. 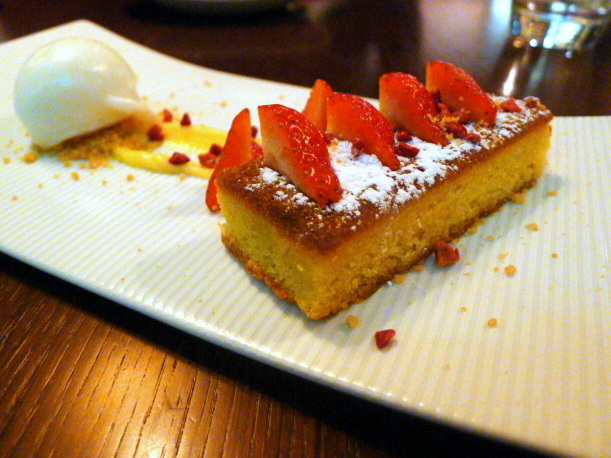 A lemon polenta cake was moist and wholesome and had been paired with vanilla yoghurt and frutti di bosco (£7). The food at Cucina Asellina was impressive, showing off a modern approach and an elevated touch. We enjoyed everything that passed our lips and it was difficult to decide on any particular favourites. The sleek décor created a bewitching ambience that helped to heighten our lovely experience as well. The service was friendly but at times could have been a little bit more polished. But overall Cucina Asellina is a winner. 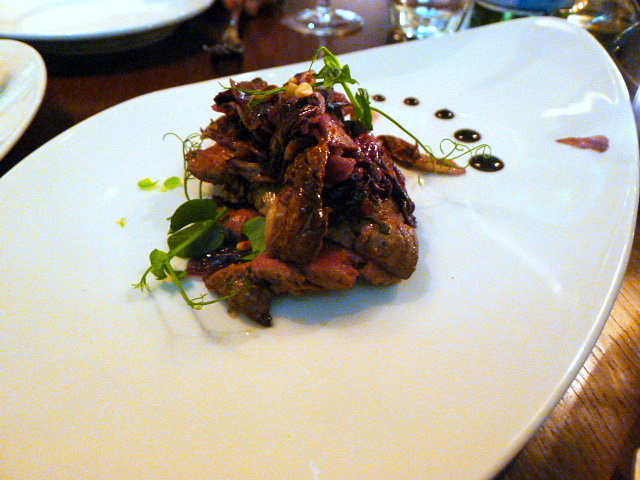 Prices: About £25 to £50 for three courses, excludes drinks and service.